Mr. Hatakeyama’s studio is located on a small street between Sumiyoshi Station and Sarue Onshi Park. After entering through the discreet doorway, don’t hesitate to climb up the wonderful wooden steps (don’t forget to take off your shoes! 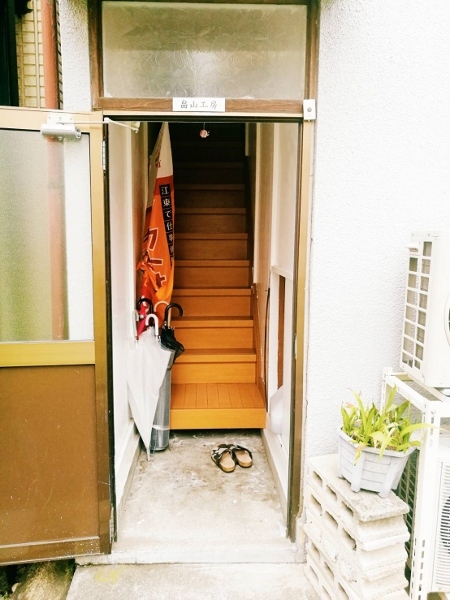 ), which leads to the first floor of a small house. Here then, is the studio of Mr. Hatakeyama. As soon as I arrived at his studio, Mr. Hatakeyama welcomed me warmly. “Ah, here you are! 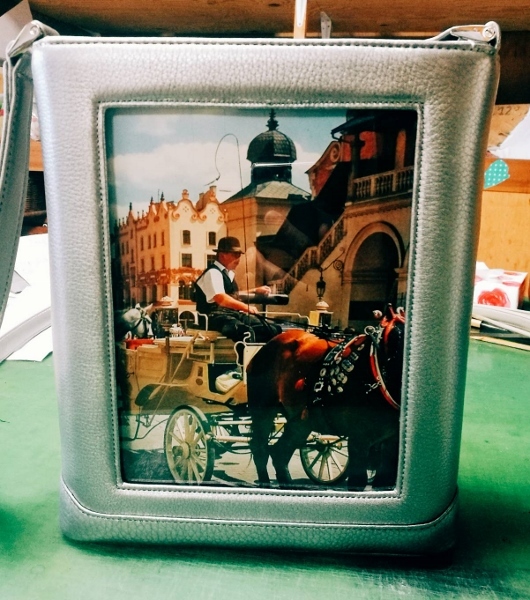 Come on, I would like to show you my latest creation!” He presented proudly to me a fashionable silver leather handbag with an acrylic glass panel, enabling the owner to insert their favourite picture. Easy to use, you can change the picture behind the glass according to your mood, outfit and desires. Mr. Hatakeyama has filed a patent for this handbag. This patent is actually recognized only in Japan but he’s considering filling one for worldwide licence! 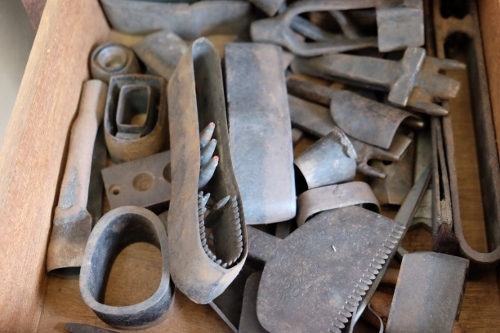 Mr. Hatakeyama learned the basis of leather handcraft from his parents. “My parents worked at home. They made randoseru.” The randoseru is a traditional Japanese school leather bag used by elementary schoolchildren. He still possesses his parents’ old tools but doesn’t use them anymore. 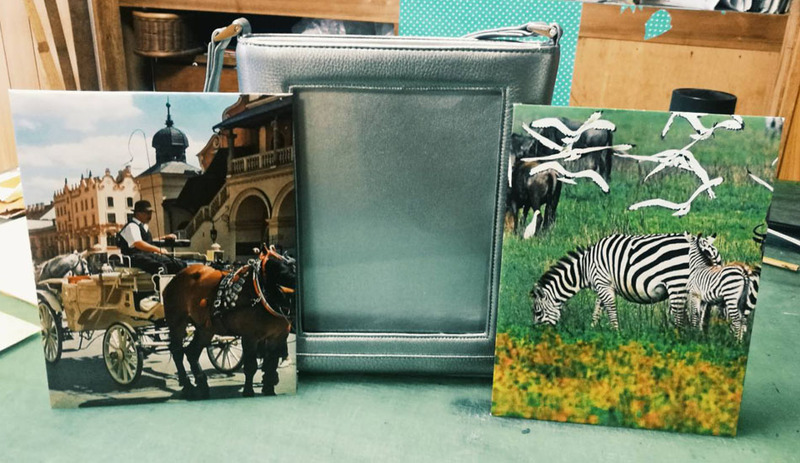 After high school, he worked in a shop specializing in handmade bags, and then opened his own studio. “I have been in this profession for 45 years now. 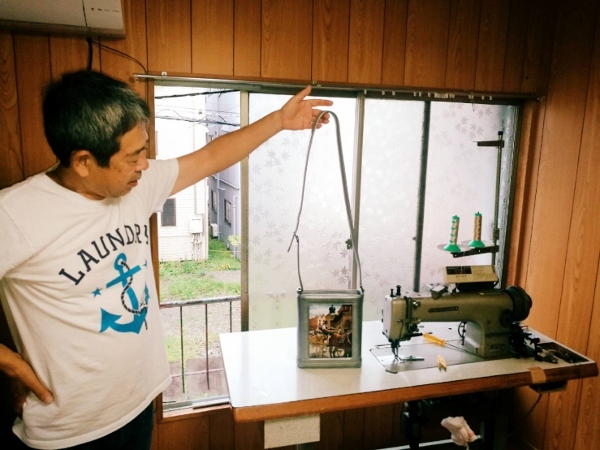 I’m getting old!” Mr. Hatakeyama now focuses his activity on handbags. 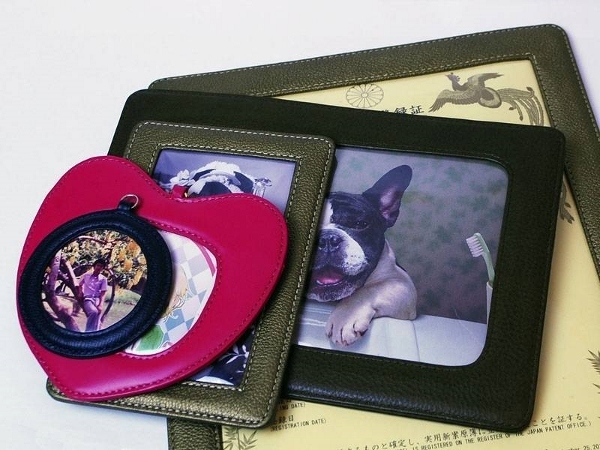 He also creates small leather goods such as wallets and photo frames. This is an example of a customer’s order. 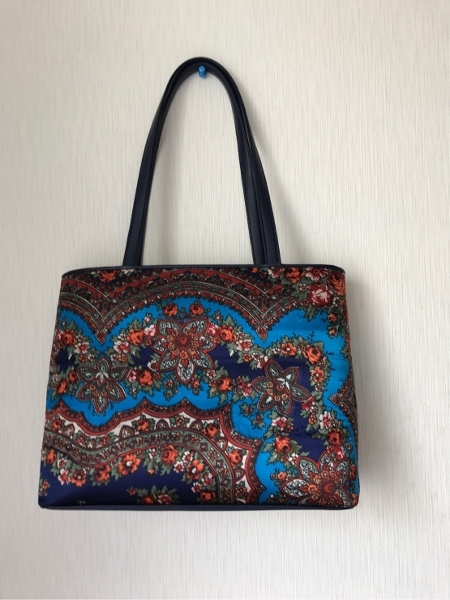 It’s a handbag made with a silk scarf and blue leather. Mr. Hatakeyama kindly made me a bookmark. He told me I could choose the colour of the leather. 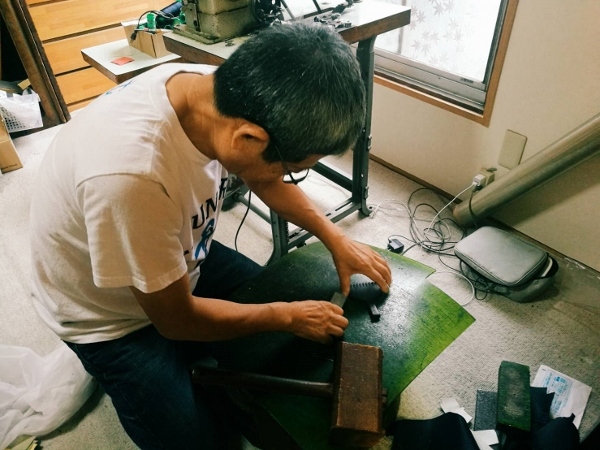 Using an old tool of his parents’, Mr. Hatakeyama crafts it with care. 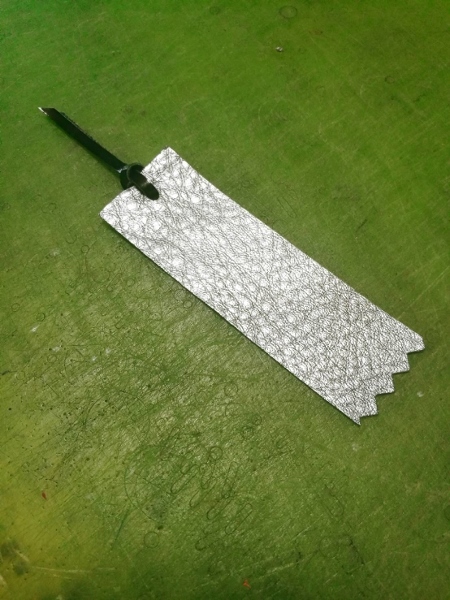 Here is the result: a beautiful and convenient bookmark! Mr. Hatakeyama’s talent and the exclusivity of his handbags will convince you that these are special creations that you will treasure for life. 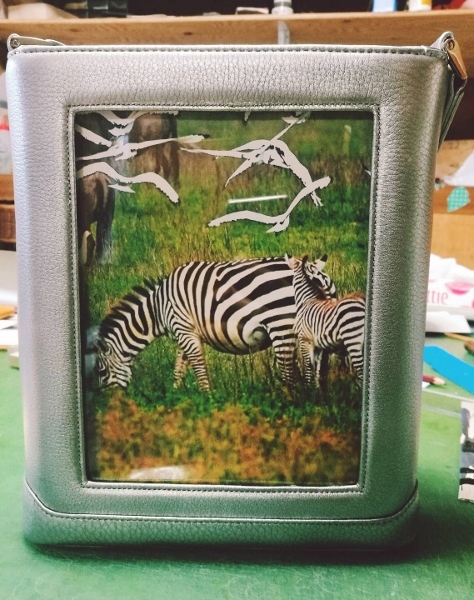 True to each customer’s desires and made precisely and conscientiously, a leather handbag from Mr. Hatakeyama will fill you with joy every time you use it.